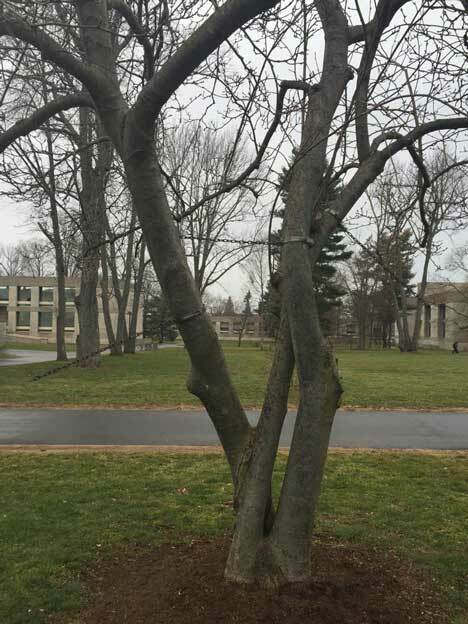 An invisible force shaping nature. 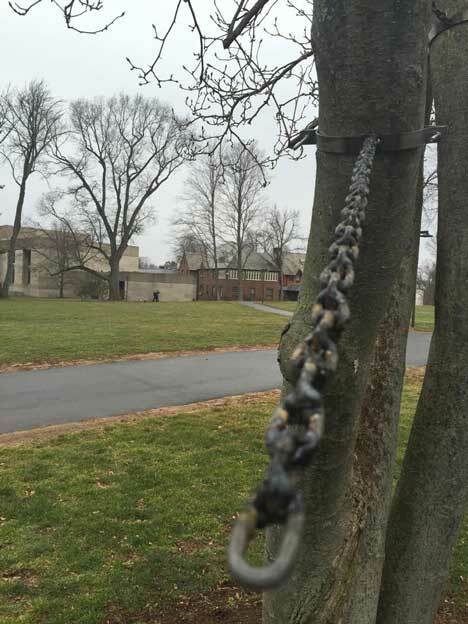 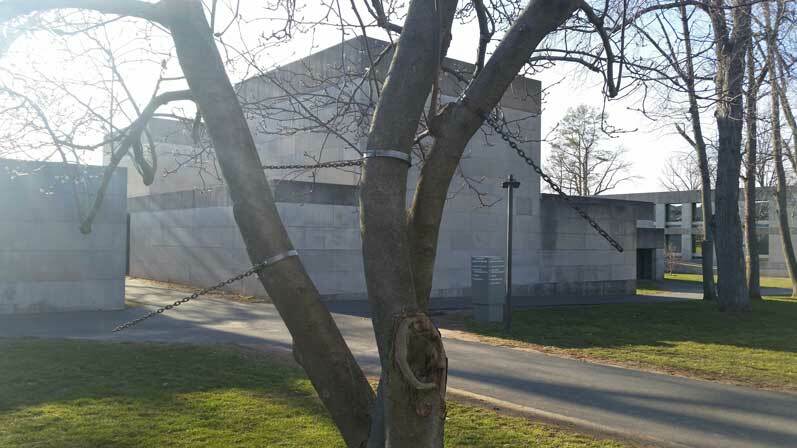 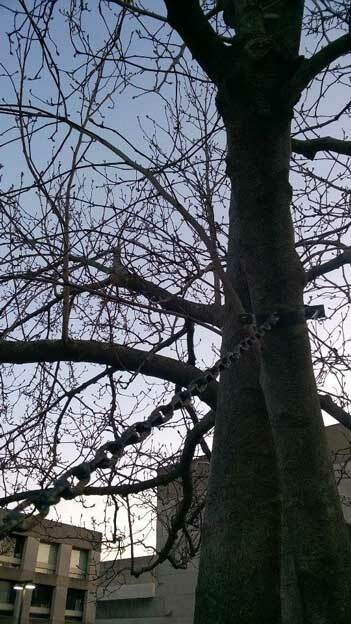 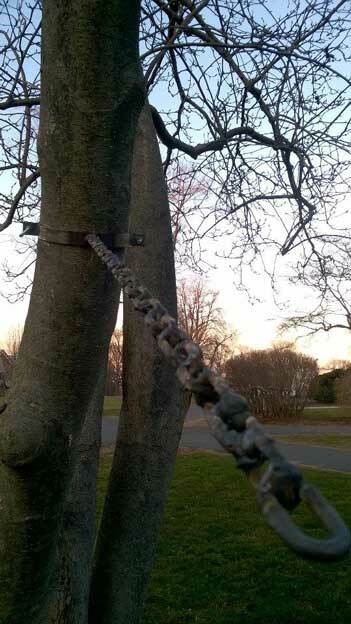 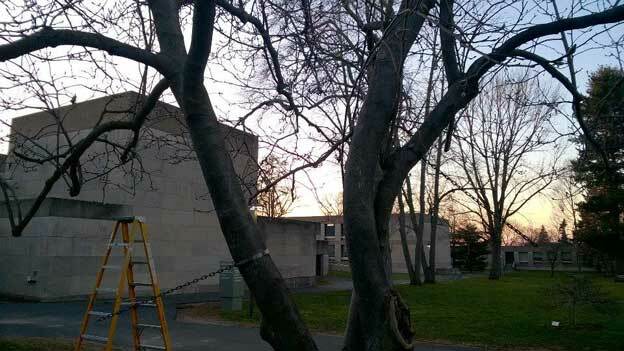 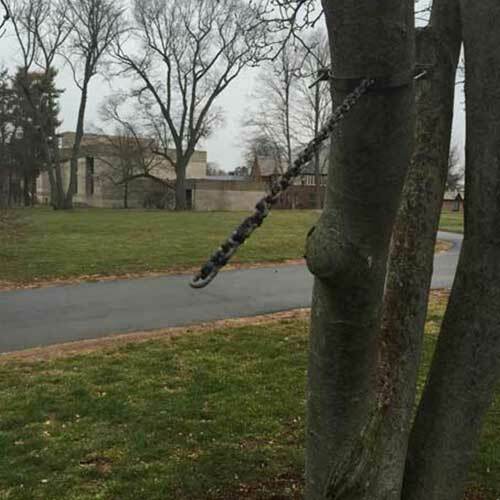 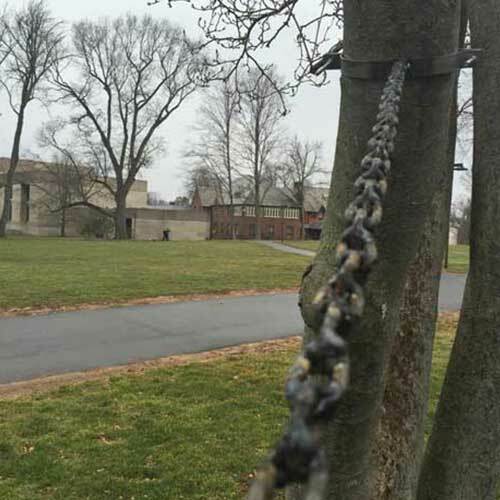 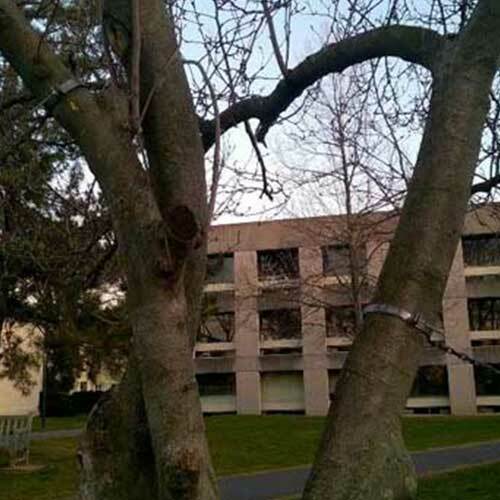 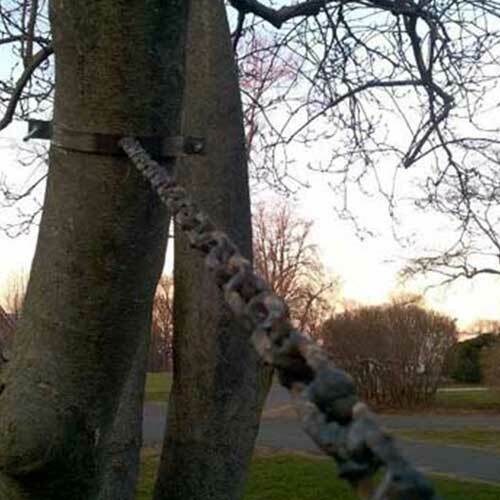 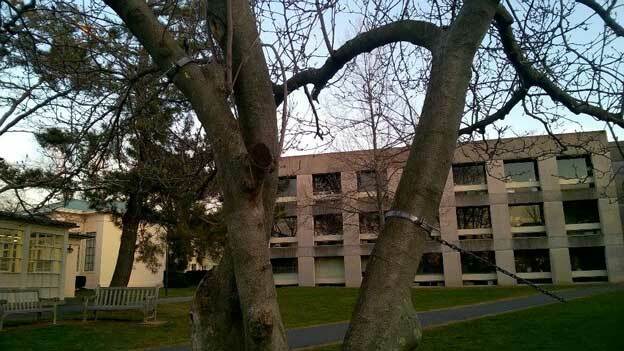 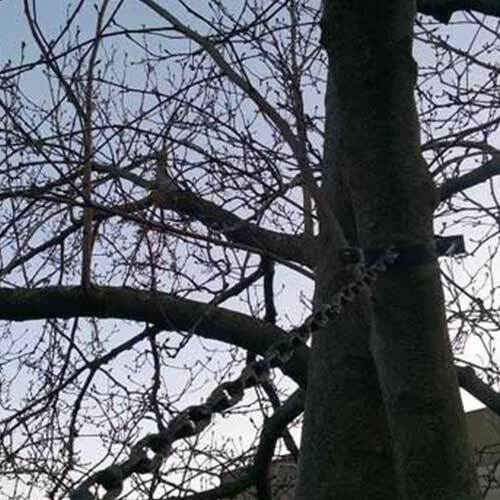 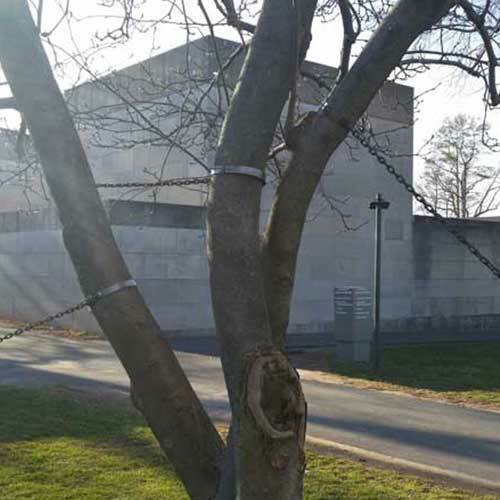 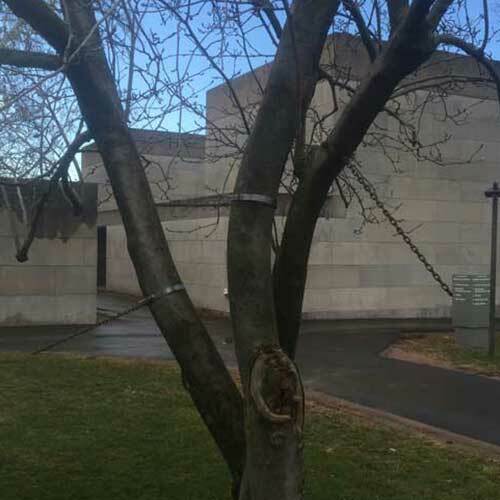 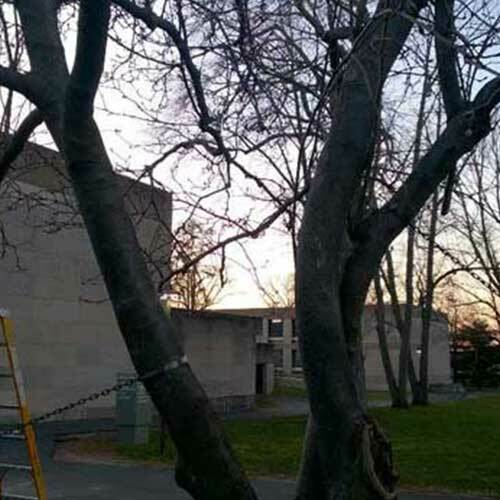 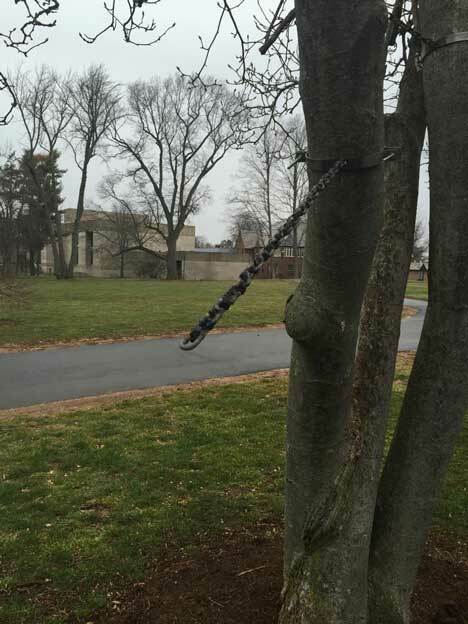 The chains, a modern human device, bending the branches and the overall shape of a tree. 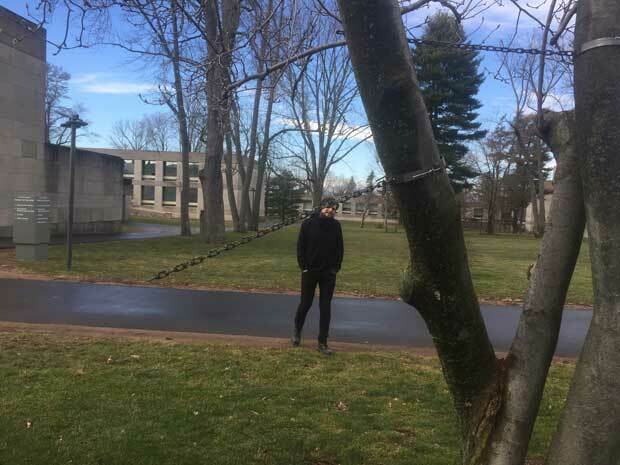 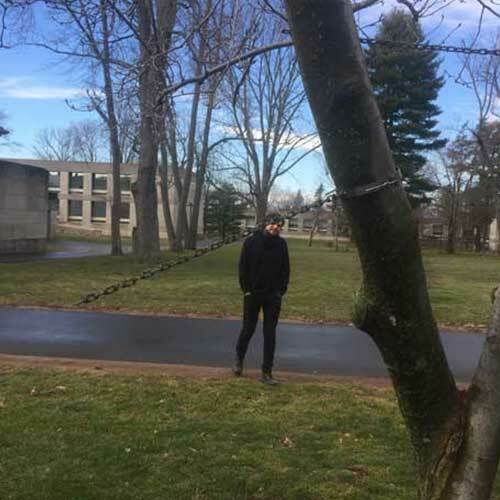 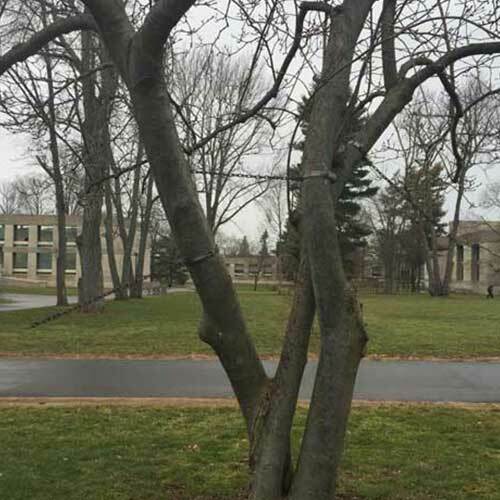 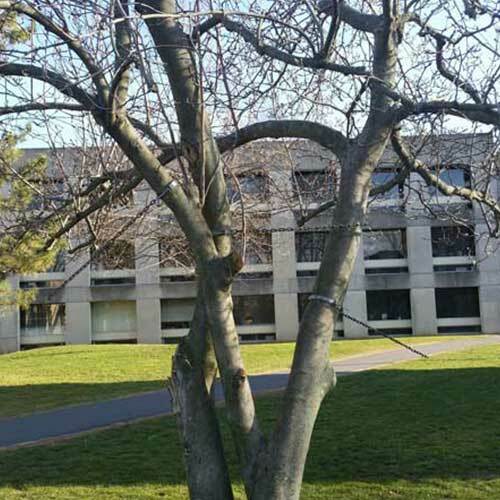 The real bending of the tree appearing as forced by modernity towards an altered nature, edifying another articulation in the relation between man and nature despite the discretion of the gesture and the branch likeness of the chains. 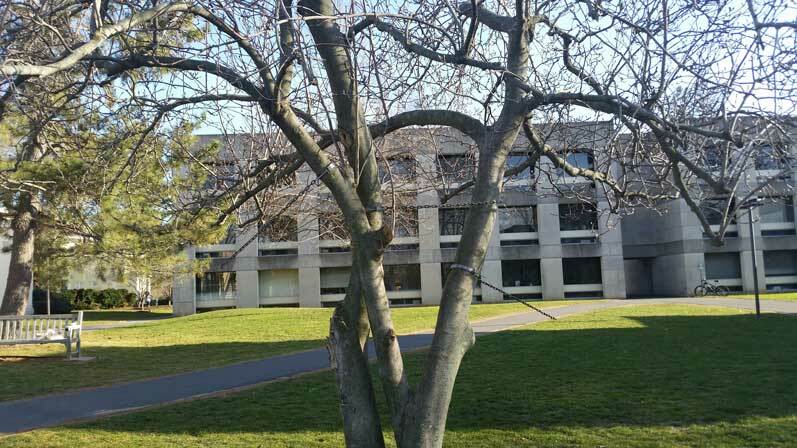 The agency of authority at the joint among man and world.